The RSU 10 board of directors approved of a part-time resource officer for Rumford area schools and a generator for Mountain Valley High School at their meeting on Monday night. BUCKFIELD — A request for a full-time resource officer next year in Regional School Unit 10 was scaled back to 29 hours a week during the board of directors meeting Monday. Mountain Valley High School Principal Matt Gilbert requested the resource officer position during budget discussions for the 2019-20 school year. The officer will work at Mountain Valley High School in Rumford, Meroby Elementary School in Mexico, Rumford Elementary School and Mountain Valley Middle School in Mexico. 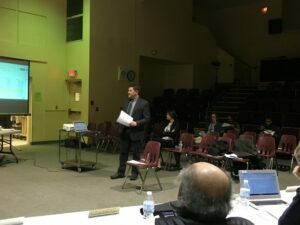 The board also voted to cut $5,000 from the proposal to spend $8,000 next year on field trips for high school students. The cost of the trips will be covered by federal funds, Superintendent Deb Alden said Tuesday. The board also approved the donation of a portable generator for the high school. Scott Holmes, the building, grounds and transportation director, told the board he tracked down a generator through military surplus, as a short-term solution. If electricity is lost at the school the generator will heat the entire building and provide lighting in the gym, Holmes said. 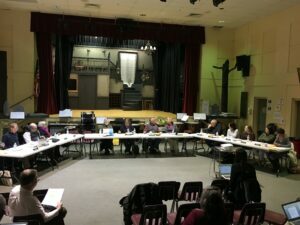 The board also voted to proceed with an application for the 21st Century Grant to continue with the after-school program for next year at Meroby Elementary and Rumford Elementary schools. As part of the application for the grant, the district must cover at least 25 percent of the transportation costs. After operating for the past five years, this is the last year the after-school program will be held at Mountain Valley Middle School.